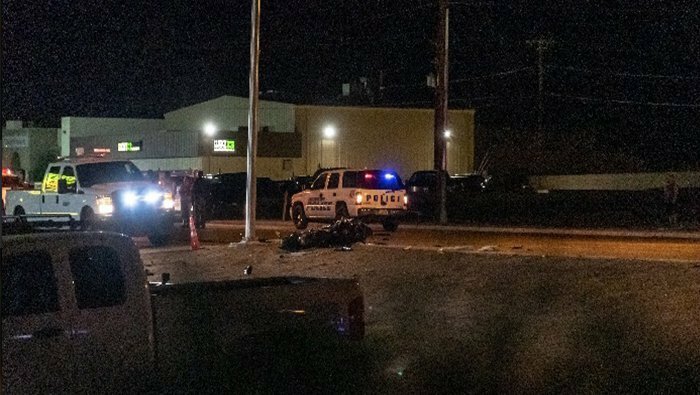 BULLHEAD CITY–A local man was airlifted Saturday night for a serious leg injury he sustained in a motorcycle crash on Highway 95. The motorcyclist was identified by police as Vance A. Davis, 32, of Bullhead City. Bullhead City Police spokeswoman Emily Fromelt said the crash happened around 7 p.m. in front of Vito’s Pizza on Highway 95. Davis was reportedly northbound on Highway 95 and was struck by a BMW sport utility vehicle that was pulling out of the restaurant’s driveway. Davis was immediately airlifted from the scene and flown to University Medical Center for further treatment to his injuries. Fromelt said the driver did not see the motorcycle. Speed and alcohol/drugs do not appear to be a factor in the crash. No citations were issued and the crash remains under investigation with Bullhead City Police Department. I have known Vance Davis for 22 years and I am always reminding him and other drivers to keep their eyes open. Vance is a very passionate about motorcycles and has been riding for as long as ive known him. His father Bruce shares the same passion for this sport and has always reminded his son to be careful out on the road when he rides. Even at low speeds serious injuries can occur especially when a motorcyclist is involved. I have been a professional commercial driver for nearly a decade with a clean driving record and a high saftey rating. The biggest factors in the seriousness of a crash is inattention, speed, and equipment condition. Do to the inattention of the driver of the BMW my best friend, Vance, is going to miss out on riding for a long time possibly for the remainder of his life, and his family is going to miss riding with him.